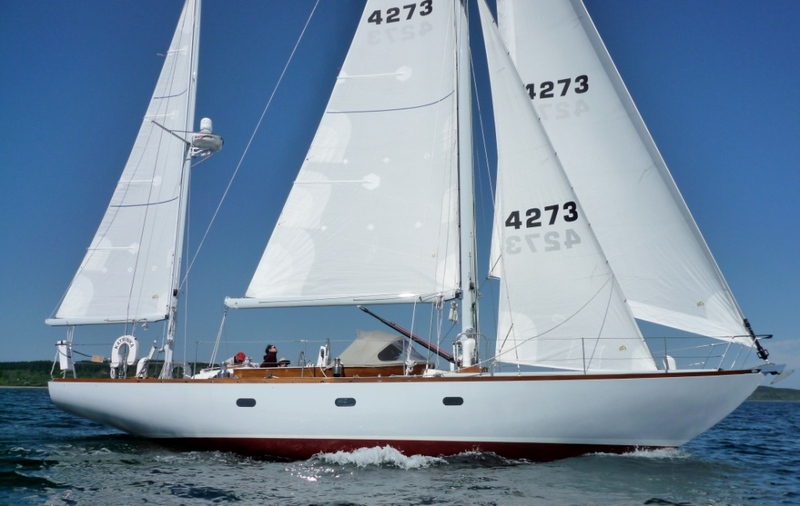 KATRINKA broadened the scope of Brooklin Boat Yard’s restoration work as unlike most of our restoration work which focuses on traditionally built wooden KATRINKA (49’, Bill Tripp design, built in 1969) was an early fiberglass construction boat. Work began in the summer of 2007. The entire boat was gutted and the deck was removed in one piece for later reinstallation after replacement of rotten core materials. The empty hull was first strengthened by the addition of core material in key locations and by installing new bulkheads. Once all structural work was completed all new systems were installed and a completely new interior was fabricated. With this work done the recored fiberglass deck was reinstalled. 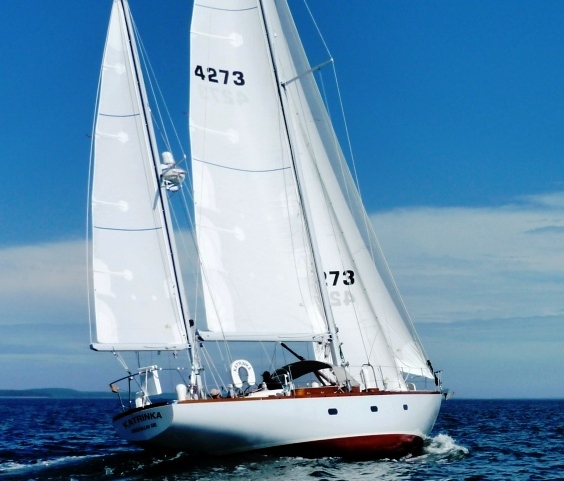 KATRINKA was originally designed as a yawl rig but at some point over the years she had been converted to a sloop. The new owners of the boat wanted to make it as true a restoration as possible so the boat will returned to its original yawl configuration but using new GMT Composites carbon fiber spars. In 2011 KATRINKA was struck by another boat during a race and the mizzen mast came down. KATRINKA’s owner decided that the boat just wanted to be a sloop so she once again and now sails in this configuration. KATRINKA lives here in Brooklin but she keeps a busy schedule traveling to classic yacht regattas to both race and act as “mother ship” to her owners other boat VIXEN a 15 sq. meter sloop also restored by Brooklin Boat Yard.